The Arc Minnesota promotes and protects the human rights of people with intellectual and developmental disabilities. People with disabilities and their families trust The Arc for information, assistance, education, and public policy leadership. The Arc Minnesota and affiliated chapters provide consistent and essential services to people with disabilities and their families. 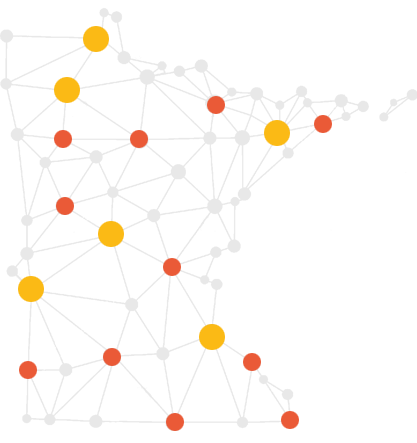 The Arc Minnesota’s services throughout the state include access to real-time assistance and information, online and in-person training events, and a statewide public policy platform involving people at a grassroots level. of calls to The Arc Minnesota are questions about navigating funding and government services such as Social Security. individuals were supported in 2018 through through programs and services offered by The Arc. of survey respondents agreed that The Arc helped them advocate for themselves or their loved one and said they would contact us again for support. "For my brother Ron and other people with intellectual and developmental disabilities, needs can change in an instant." "For more than 50 years, The Arc has been there for my brother and my family." When the future feels uncertain and we’re unsure what our next steps will be, it’s comforting to know that The Arc’s caring and informed Advocates are a phone call away. Advocate for public policy changes in Minnesota and the U.S.